NEWPORT, Ky. — In recognition of Patriot Day, Newport Aquarium will offer free admission to first responders during Fire & Safety Weekend, Sept. 11-13. Police officers, firefighters, EMTs, state troopers, correction officers, 911 dispatchers and other professionals involved in law enforcement, investigations and emergency response can receive free admission by presenting their professional credential, along with a valid government-issued photo ID, at the Newport Aquarium ticket window. 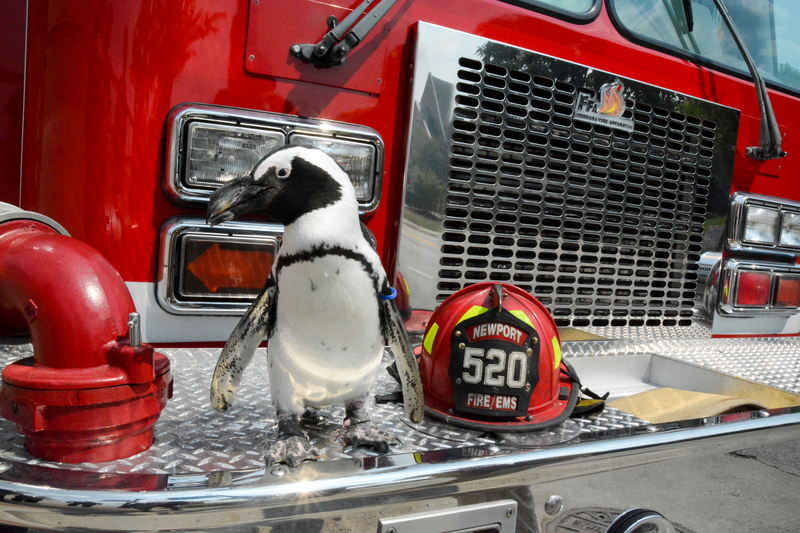 Also during Fire & Safety Weekend, family members and friends who accompany police, firefighters and first responders at the Newport Aquarium ticket window can receive discounts of $3 off adult and $2 off child (ages 2-12) admission. Family and friends must be present at the time the first responder orders their ticket in order to receive the Fire & Safety Weekend discount. This entry was posted in Fire & Safety Weekend and tagged Cincinnati, Emergency Responders, Firefighters, First Responders, Law Enforcement, newport aquarium, Police Officers by NewportAquarium. Bookmark the permalink.